Here are some more developments taking place in our municipality. 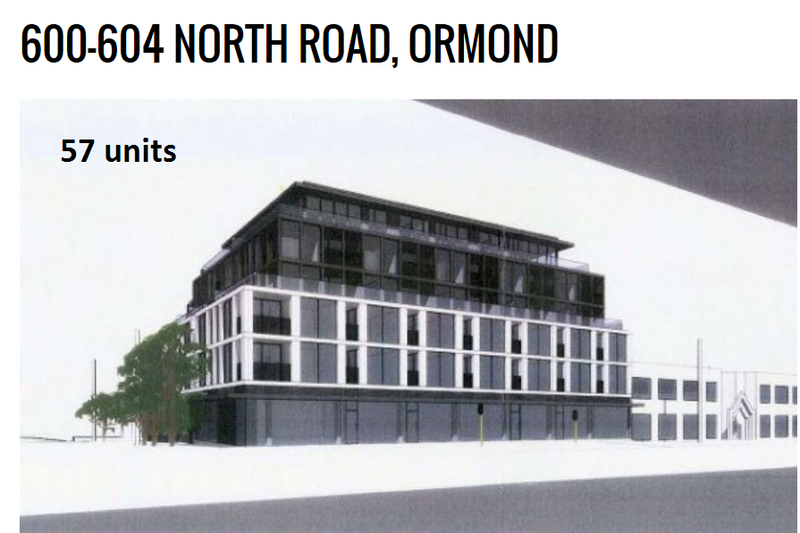 Whilst councillors have sat on their hands doing bugger all about an inept planning scheme and blaming VCAT for all their ills, developers have been having a field day. This is the inevitable result – 5 developments alone providing what the planning scheme says is the ‘average’ number of new dwellings per year! 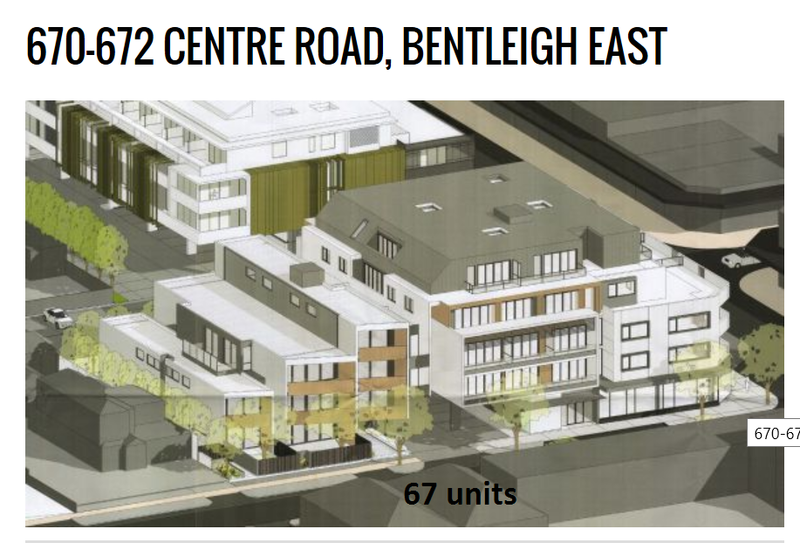 Please also note that some of these are not even in what is euphemistically called our ‘Urban Villages’ (Bentleigh, Elsternwick, Carnegie) but in the now defunct Neighbourhood Centres, which are supposed to have only ‘medium density development’. 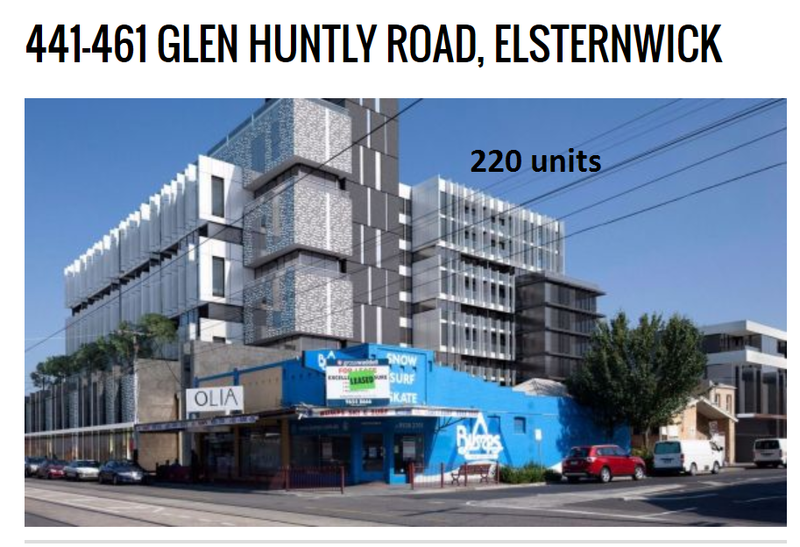 If this is not the Glen Eira you want, then make your views heard at the current Planning Scheme Review. Insist on real change and a real commitment to protecting residential amenity. Do not be satisfied with a mere tinkering of the current scheme that in the end achieves very little. 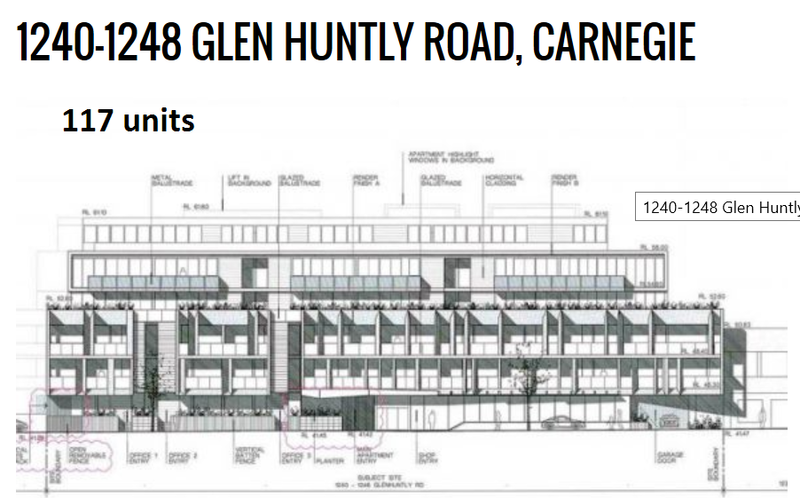 Any idea of how many three bedroom/four bedroom in these 550 dwellings? 41 x one bedroom, 70 x two bedroom, 6 x three bedrooms (minutes of March 17th, 2015). Thus 35% are one bedroom and only 5.12% are three bedroom – rest are 2 bedroom. 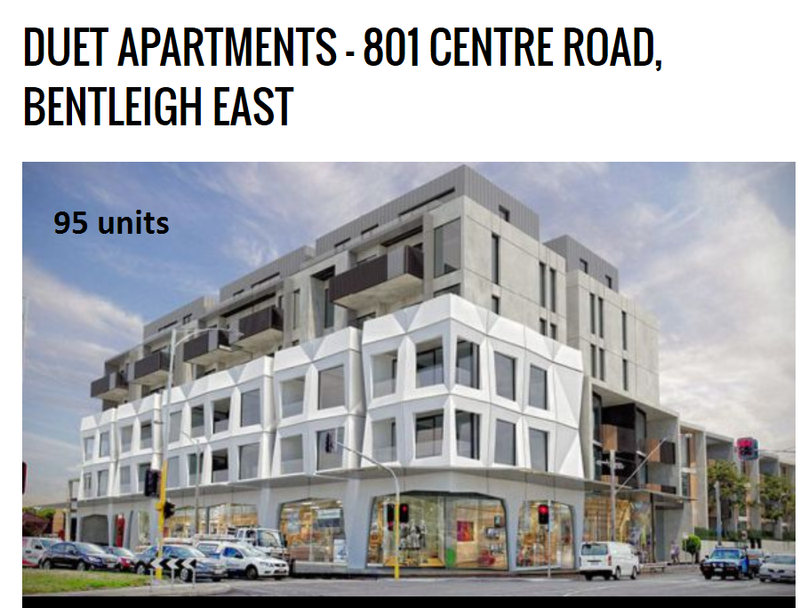 “Commercial 1 Zone was the zone best suited to the mix of shops, offices and dwellings that we regard as appropriate for that area” –GECC. Council considers anything not prohibited to be appropriate.